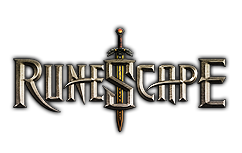 Home>>Runescape News>>Can you imagine Runescape having no fire? Can you imagine Runescape having no fire? What will happen if there is no fire in the real world? Well, in Runescape, it's almost the same thing. While it may seem not important, firemaking is a great skill and can become fairly profitable at higher levels. Firemaking is a simple skill that goes with woodcutting, but can be used to accompany Cooking too. It is easy to level as the experience given from each log is quite high. To start firemaking you require a tinderbox. You obtain one of these on Tutorial Island, but if you lost it you can buy one from any General Store for 1gp. The woodsman tutor in Lumbridge will also supply you with a free tinderbox and bronze axe if you don't have them in your inventory or bank. To light a fire you can "use" the tinderbox with the logs. This will show a short animation of you lighting a fire. If you fail to light the logs on fire, you will continue until you succeeded in doing so. When you light the fire, you will automatically walk a one square to the west. The other way to light a fire is to drop the logs on the ground and then use your tinderbox on them. However, it is very slow and will take longer to light your fires. After you light the fire, you can use it for whatever you please. Most players prefer to use their firemaking skill to light fires for cooking; however, there are other possibilities. There are many different types of logs for you to light around Runescape as well as in 2007 runescape accounts and each one has different requirements and rewards.